Want to Support Memphis Music? 0April 27, 2009$5 Cover debuts this Friday – Spread the word! 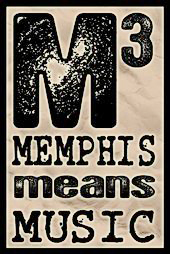 The Memphis Music Foundation supports Memphis musicians for the economic development of our city. We're ensuring the Memphis music legacy continues well into the future by providing artists with resources, support and knowledge! Enter your email address to subscribe to our blog and stay up to date on everything Memphis music!